Step 1: Get all of your materials. 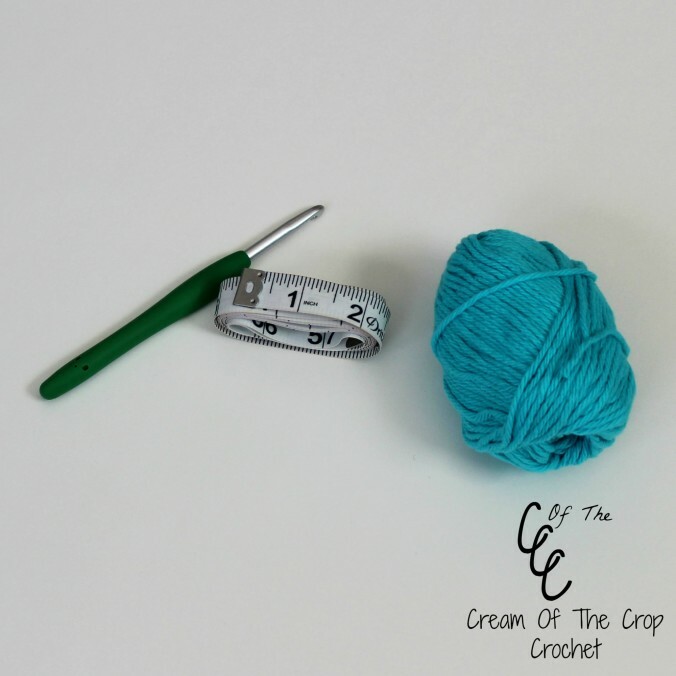 The size crochet hook the pattern calls for, measuring tape, the weight yarn the pattern calls for, and the gauge on the pattern. 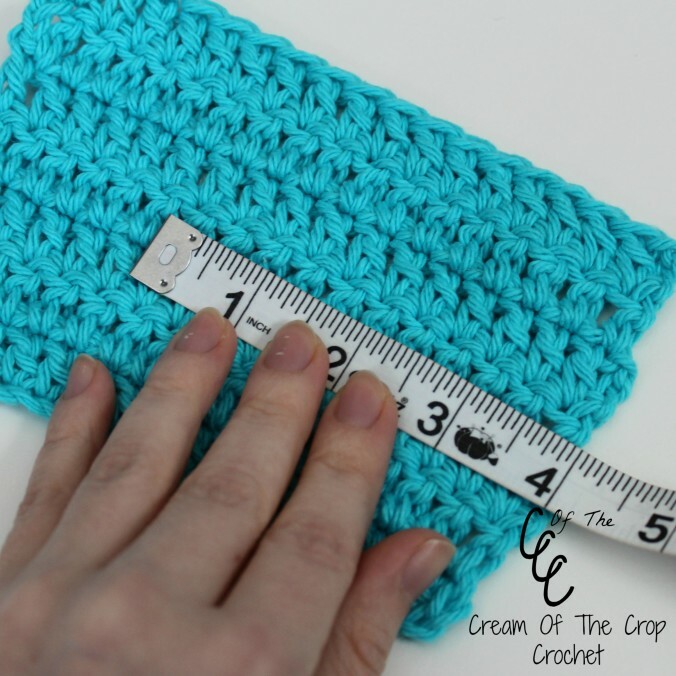 I’m going to use an example gauge of 12 dc stitches x 7 rows is 4″. Step 2: Make a swatch. The gauge should tell what stitch to use. If not you could use the stitch they use in the pattern or ask the designer. 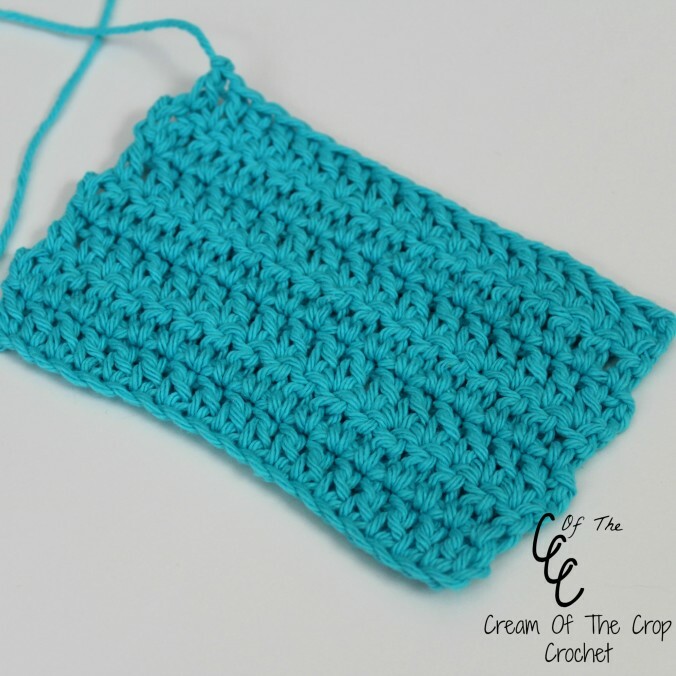 Our example say dc stitches, so that mean to use a double crochet stitch. Step 3: Now use the measuring tape to check how many rows. Using my example of 12 dc stitches x 7 rows is 4″. You want rows, so it says 7 rows. What this mean is you need 7 rows to measure 4″. If its less than 7 rows being 4″, then you need a bigger hook. If it comes more than 4″, you need a smaller hook. If it comes out just right, then you might have the correct hook size, but one more step. Step 4: It’s time to measure how many stitches across. How do you figure out how many stitches across? Using the same example of 12 dc stitches x 7 rows is 4″, it tells you it should be 12 double crochet stitches across. 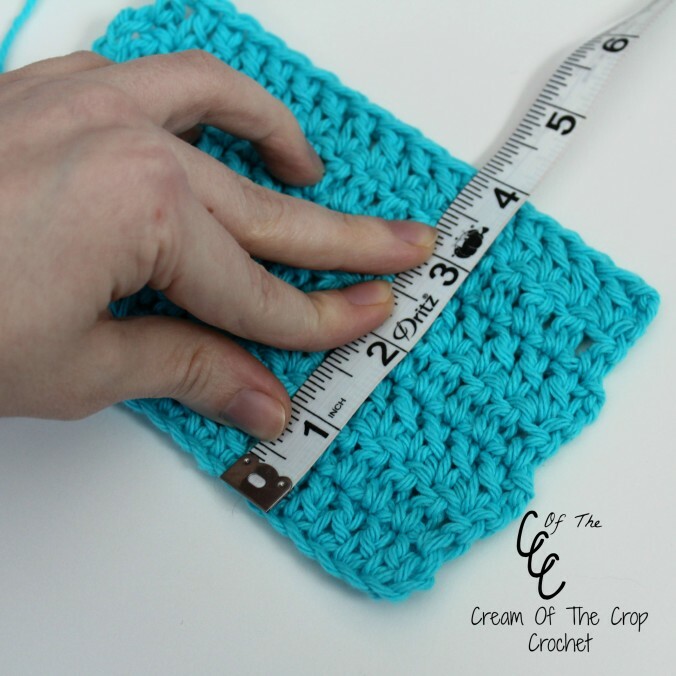 Measure one of the rows across to make sure 12 double crochet stitches measures 4″. Make sure you aren’t counting a chain in this measurement. If its less than 4″ use a bigger hook. If its more than 4″ use a smaller hook. If you didn’t come up with the correct size you should make another gauge with another hook size. If its 4″ on step 3 and step 4 than you have you have to correct size hook! You may not sell, copy, rewrite, distribute this tutorial in any way, or form. You may not change our photos in any way or form. You may share this tutorial by linking back to this post, and even sharing a picture! © 2015, Cream Of The Crop Crochet. All rights reserved. Follow us on Pinterest, Facebook, and Etsy.